Wells Fargo & Company is an American multinational financial services company headquartered in San Francisco, California, with central offices throughout the country, and internationally. It is the world's second-largest bank by market capitalization and the fourth largest bank by total assets. Wells Fargo is ranked #26 on the 2018 Fortune 500 rankings of the largest United States corporations by total revenue. Wells Fargo remains the second-largest bank in home mortgage servicing and debit cards. As a long-time provider of financial services, Wells Fargo offers products, and services to help individuals and business of all different sizes reach their financial goals. They serve many communities in Northern Minnesota through their retail branches, business banking offices, wealth management, and private banking offices. 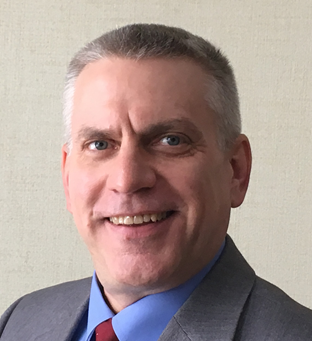 Brian Kahlbaugh, Assistant Vice President/Business Development Officer, is part of the Northern Minnesota Business Banking Group in Duluth, MN and works with businesses in Northern Minnesota and North Western Wisconsin. Wells Fargo offers financing for small to mid-size business needs, including commercial real-estate, business start-ups, mergers, acquisitions, expansions, re-financing of existing debt, revolving lines of credit, and equipment loans and leases. They specialize in SBA and tax-exempt lending. They also offer treasury management products and solutions, providing tools to analyze cash cycles to optimize working capital, streamline processes, and manage risk. As the Business Development Officer Kahlbaugh says it is all about understanding the customer’s situation and working with them to find the right solution. His goal is to create business relationships. Wells Fargo provides services to anyone, or any business who can benefit from their products and services. The Business Banking Group works with a broad spectrum of industries and businesses; commercial and industrial businesses, manufacturing, transportation, wholesale, retail, service industries, dental and veterinary practices, engineering, non-profits, commercial real-estate investors and/or developers, and more. In Business Banking, they want to cultivate business relationships with small to mid-size businesses who have a need for financing and who want to optimize cash flow or automate processes. Fraud is on the rise, so those who seek expert advice in protecting against it can benefit from working with their team. Businesses that lease or finance additional equipment. Customers who want to protect against rising interest rates. Customers who are planning an expansion or an acquisition. The Business Banking Group works with anyone who has financial plans, initiatives, or goals, but they also want to challenge people who are content with their current banking relationships to reach out for free advice and comparison. Kaulbaugh says what makes Wells Fargo unique is that while they are a very big company with vast resources and expertise, they service communities locally. Their team members are neighbors and friends throughout the community. Wells Fargo also provides a great deal of support to local communities through volunteer efforts and financial support. He has heard it this way, “We are the biggest local bank, and the smallest big bank.” That’s the perspective he tries to take into consideration with his role daily. Wells Fargo has six branch offices in Duluth and employs around 350 people in Minnesota and Northern Minnesota. The full breadth of Wells Fargo products and services can be tapped into depending on the need. They will tailor the solution to the unique needs and goals of the customer. Article written by Tina Louis. To be featured in a future issue, click here.